Choose from the options below to custom build your RangeRunner. Note: Cart vertical storage is 2/3 of spec below if there is a shelf on the cart. 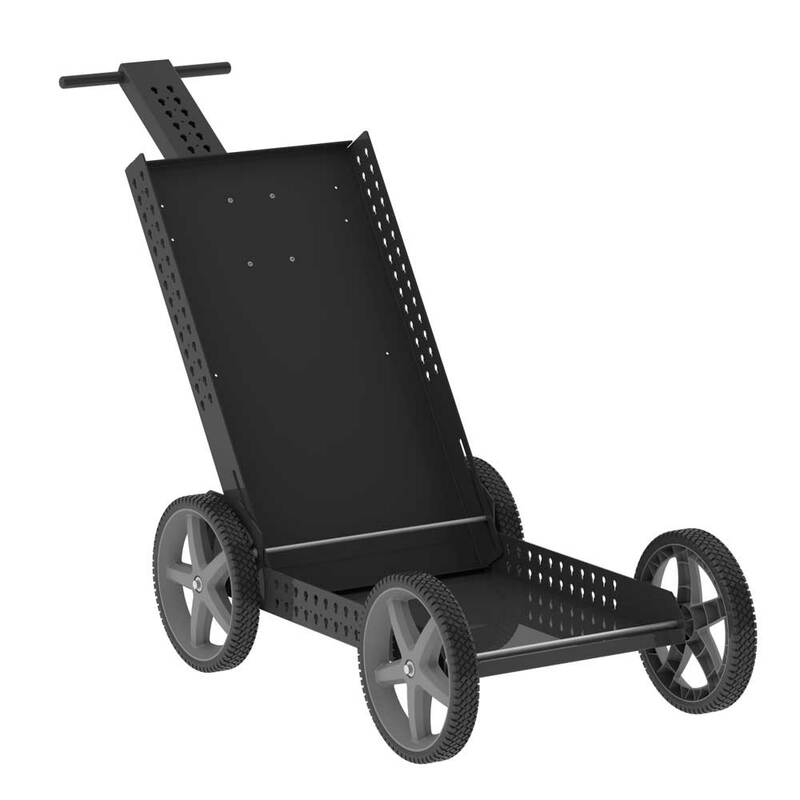 The cart will be built to the specs selected in the form below. Simple Setup takes less than 30 seconds. An easy lift and slide motion locks the cart right into place. Lightweight 35 lbs. of aluminum construction. All Terrain Twelve inch hard tread wheels give the cart a sporty look and the capability to roll through any terrain. Protective Rubber coated gun brackets protect your investment from debris and scratches. Warning: Safely secure and unload weapons before transport.